This meeting will feature a panel discussion of business owners in the professional services/architecture, engineering, construction world. These owners will share their experience from prior transitions out of their business. Dan Ryan will moderate the panel, but leave time for questions from attendees. Please feel free to bring your business owner clients in the industries to be discussed. Hear about business transitions from a panel of experts including, Mary Roskilly, James H. Littlejohn, and Rob Barrick. This panel will be moderated by Dan Ryan. This meeting will be held at the Bradley Arant Boult Cummings Law Offices. Mary Roskilly is a Principal and Partner at Tuck-Hinton Architecture & Design, a Small and Women Owned business located in Nashville that is known for creating many of the region’s most iconic buildings. 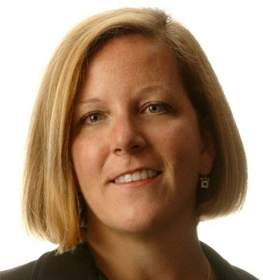 She joined the firm in 1994 after graduating from the University of Cincinnati with a Bachelor of Architecture. She has been involved in the design of several prestigious projects that have impacted Nashville – Music City Center, Country Music Hall of Fame, Frist Center for the Visual Arts, and Tennessee Bicentennial Capitol Mall. She is currently working on Heaven’s Door Distillery which will be located in the old church building previously occupied by the firm before their recent move to the Wedgewood Houston neighborhood. Mary is a graduate of Leadership Middle Tennessee, where she served as the 2017 Class President, and now serves on its Board of Directors. She is also an active member of the Middle Tennessee Chapter of the American Institute of Architects. Roskilly frequently gives lectures and tours of the firm’s notable projects to community and professional groups. Recently she was named to the 2018 Nashville Business Journal Most Admired CEO list. She and her husband Chuck Miller hold majority ownership at the firm and are actively engaged in transitioning the leadership and creative energy of the firm as the founding partners prepare for retirement. Their daughter Rory attends Waverly Belmont Elementary, a new school in the 12 South neighborhood that the firm designed. After serving a three-year commitment to S&ME upon the sale of his firm, Jim has stepped back to concentrate on other opportunities. The firm he founded and led for 28 years, Littlejohn Engineering Associates, grew to 135 professionals andapproximately $20M in net revenues. During his leadership the firm acquired 5 engineering-based firms which led to expansion in 9 offices throughout the southeast and southwest. In 2015 the firm was ultimately sold to S&ME based in Raleigh, NC. S&ME is a multi-disciplinary, ENR top 100 firm of 1,100 in 35 offices primarily in the southeast and midwest. The firm benefited from the diverse array of markets the firm served. Those included many site development projects as well as public sector transportation and water and waste-water projects. Jim’s experience and leadership managing multi-million dollar projects served the firm well as those of large scope had to be managed concurrently with numerous smaller ones and projects with demanding deadlines. Jim began Littlejohn Engineering with a focus on providing responsive and quality engineering service to its clients. As the firm has grown and matured, his responsibilities expanded to include financial management, marketing, and technical development. When additional challenges were needed its staff, acquisitions were pursued to add geographic dimension to the firm. Successfully completing five acquisitions over a four-year period, the firm grew to nine offices. Since leaving S&ME, Jim has been involved assisting firms with Merger and Acquisition consulting, management advisory services as well as assisting Owners with Project Representative services. Chairman and CEO of Smith Seckman Reid, Inc. Rob Barrick served as Chairman and CEO of Smith Seckman Reid, Inc. (SSR) from 1986 to 2018 and has been Chairman since 2018. During his tenure as CEO, SSR grew from 85 people in two offices with $5 million in revenue to 400 people in 14 offices with $75 million in revenue. SSR has been partially owned by an ESOP since 1983 and became 100% ESOP owned in 2016. Rob holds a Bachelors of Engineering degree in mechanical engineering from Vanderbilt University and a Masters of Business Administration degree from Vanderbilt Owen Graduate School of Management. Rob began his career with Smith Seckman Reid, Inc. in 1974. 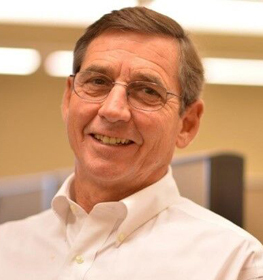 He held the positions of mechanical engineer, project manager and mechanical department head before moving to Houston in 1983, where he started and managed the Houston office before returning to the Nashville office in 1986. He is a registered Professional Engineer in 16 states, a Certified Energy Manager, Green Building Engineer, and LEED™ Accredited Professional. Rob is a member of the American Council of Engineering Companies and National Society of Professional Engineers. He received the “Engineer of the Year” award in 2003 and the “Young Engineer of the Year” award in 1989 from the American Council of Engineering Companies of Tennessee. Professional contributions with American Council of Engineering Companies of Tennessee include Chairman Ethics Committee; PEPP Chairman; ACE/PAC Trustee; and President. Rob serves as an Adjunct Professor at Vanderbilt University in the graduate program for construction management. Rob is a founding partner and past Board Chair of The Nashville Food Project, Nashville, which provides food and clothing to the homeless and working poor. He has been a board member and twice past chair of Students Taking a Right Stand (STARS) since 1988. Rob serves on the board of the Adventure Science Museum. Past contributions include Room At The Inn Board member 2010-2013; Chairman Alumni Board at Montgomery Bell Academy; Leadership Nashville; and Chairman of the Fire and Building Code Appeals Board of the Metropolitan Government of Nashville and Davidson County. He currently serves on the boards of Lee Contracting in Pontiac, Michigan and SRF Consulting Group in Minneapolis. The American Society for Hospital Engineering of the American Hospital Association published his book, “Mechanical Systems for Health Care Facilities” in 1992. 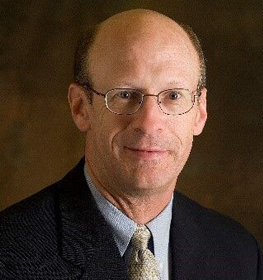 He has lectured at national and regional ASHE meetings on mechanical systems, solar energy system design, and chiller refrigerant options, and to the Design and Construction Quality Institute, PSMA, PSMJ, and the American Council of Engineering Companies of Tennessee on management, ownership transition, team structure, and project management. This meeting will be moderated by Dan Ryan.